LUGANSK, November 14. /TASS/. 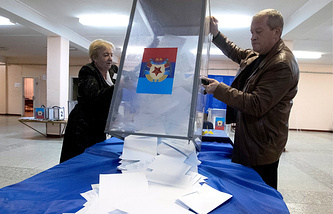 The Central Election Commission (CEC) of the self-proclaimed Lugansk People’s Republic (LPR) has declared LPR acting head Leonid Pasechnik the winner of the Sunday ballot, chairwoman of the LPR Central Election Commission (CEC) Elena Kravchenko said at a news conference on Wednesday. 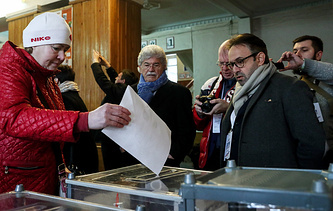 At the election of the LPR leader, Leonid Pasechnik won 68.3% of the votes (596,230 voters supported him). Oleg Koval won 16.55% of the votes, with 144,441 people voting for him. Lyudmila Rusnak won 5.9% of the votes, or 51,500 voters, Natalia Sergun - 7.95% of the votes, or 69,396 voters, whereas 1.3% of the votes were declared invalid or lost. The public movement Peace for the Lugansk Region has won 37 seats in the 50-seat LPR parliament, Kravchenko said. According to the CEC final results, Peace for the Lugansk Region won 74.12% of the votes, the Lugansk Economic Union took 25.16% of the votes; while 0.72% of votes were declared invalid. 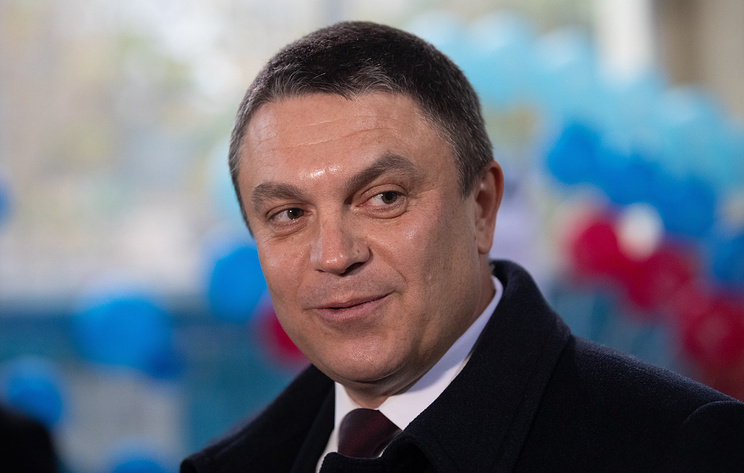 "Therefore, Peace for the Lugansk Region has won 37 deputy seats in the new People’s Council [parliament] and the Lugansk Economic Union - 13 deputy seats," Kravchenko announced. Four candidates vied for the office of LPR’s head. They are acting head of the self-proclaimed republic Leonid Pasechnik, head of LPR’s trade union of education and science workers Oleg Koval, leader of a territorial arm of the Lugansk Economic Union movement Lyudmila Rusnak, and head of the LPR’s trade union of railway workers Natalia Sergun. Two public movements - Peace for the Lugansk Region and Lugansk Economic Union - contended for seats in the 50-seat LPR parliament. Kiev and some Western countries refused to recognize the republics’ right to elect their heads and parliaments, alleging that Donbass elections run counter to the Minsk Agreements. Moscow, Donetsk and Lugansk repeatedly explained that the elections do not violate the Minsk Agreements because the deal only concerns municipal elections, while electing republic heads and parliament members does not fall into this category.